What are the general procedures in machine design process? There is no rigid rule for the procedure of machine design, however, there is some general procedure for machine design. Various steps included in the procedure of machine design is described below. 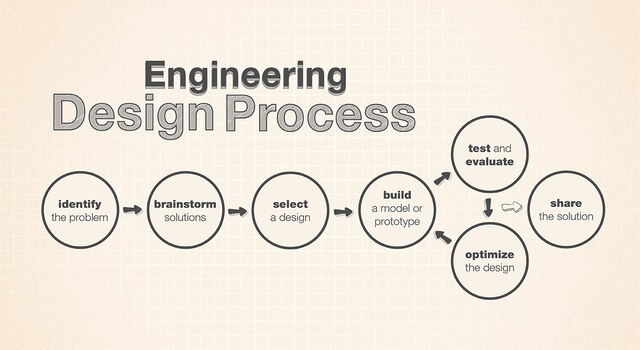 Understand the Requirements: Recognition of the requirement is the first step of all kind of engineering design. It includes the detailed statement of the problem, aim, and purpose of the machine is to be designed. The statement should be clear and detailed as possible. Synthesis of mechanism: It is the identification of desired motion and mechanism. Shortlist all possible mechanism then choose the best-suited mechanism as per problem requirement. Analysis of force: Find out the forces acting on each component of mechanism and energy transmitted by each component. Material selection: Select the material suited for the machine. The selection depends on the magnitude of the load on the machine component, the possibility of wearing of a mating component, environmental factors (such as humidity, temperature etc. ), and the cost. Designing of element: Find the dimension/size of each member of the machine by considering the force analysis and permissible stress limit of the selected material. Consider past experience and design modification: Here the designed machine is modified according to the previous record. This personal judgment makes necessary changes in design either to improve the quality or to reduce the cost. Detailed drawing: Make the drawing of each component and the whole assembly of machine. Specify the material, dimension, accuracy, surface finish and other parameters in the drawing. Now the CAD software’s are giving great assistance in drawing. Production: The components are manufactured in the workshop as per engineering drawing.